Deep Time will be an exhibit that has an entrance leading into displays about the beginning of life, and will progress forward in time, to the present. Deep Time will have two entrances: one at the present-day, and one at the beginning of life. The quote above is not referring to the exhibit itself, and instead is implying something symbolic about the exhibit. In this case, Deep Time will have an entrance at the present-day, and an exit at the beginning of life. Of course, if we go in the direction of cases 1 and 2, it becomes even more complicated when in the video, they once again assert that the exhibit is going to start in the present, not the past. Anyway, onto the other parts of the video. For the first part of the video, there’s a moment when they continually fortify that Deep Time is going to be a very stunning exhibit, and that it’s going to be a spectacle of sorts. In that portion, Siobhan Starrs says that visitors are going to walk in, and look up at the T. rex. This indicates that the T. rex is going to be visible from the entrance of the exhibit, which we’ll assume is from the present day. This sort of contradicts the older concept art, in which the Cenozoic section curves in a way that would block the T. rex from view. In the second portion of the video, they begin actually discussing the hall itself. One notable detail mentioned is that there’s going to be multiple touchable original fossils in the exhibit. 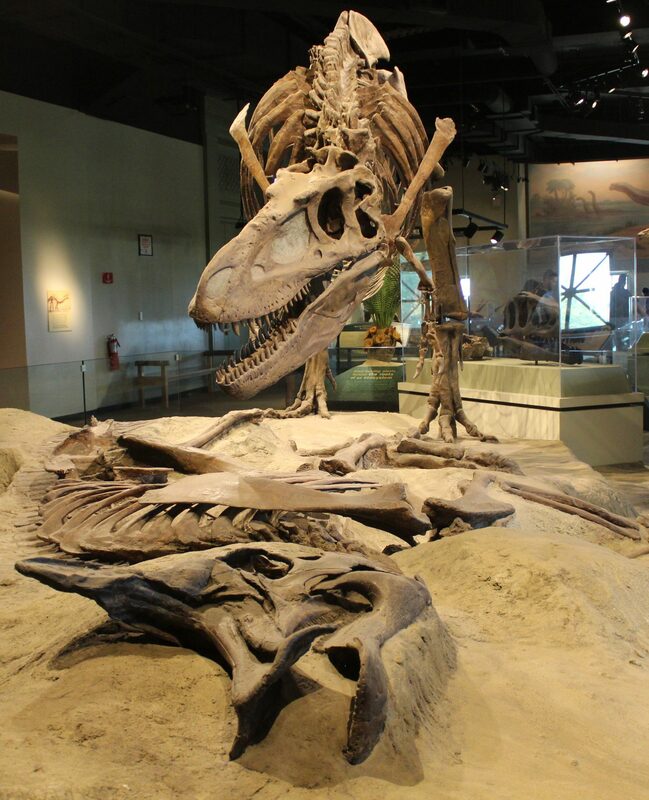 This is a good strategy to make visitors feel more involved, and to also please kids, but there’s a reason that most exhibits only include one or two touchable fossils. But, I suppose with a collection as large as the one of the Smithsonian, you can do that sort of stuff. One part that makes me sort of nervous is when they begin discussing feeling the textures of different bones, and they mention that the visitors are going to be able to touch the bone of a skull. Now, the image they show to correspond with this moment is a Centrosaurus skull. Maybe they just chose a random skull for that image, but the idea of an entire Centrosaurus skull being touchable sounds quite risky to me. One more positive detail they mention is that there’s going to be a lot of educators and volunteers in the fossil hall, and, from the concept art featured, it seems like these educator and volunteer stations are going to have a ton of resources, definitely more than those in educating stations at other museums. The final portion of the video discusses the Anthropocene displays that will be in the exhibit, basically rehashing details that have already been given before. Anyway, soon, it’s going to be time to look at the plethora of concept art given on the website.